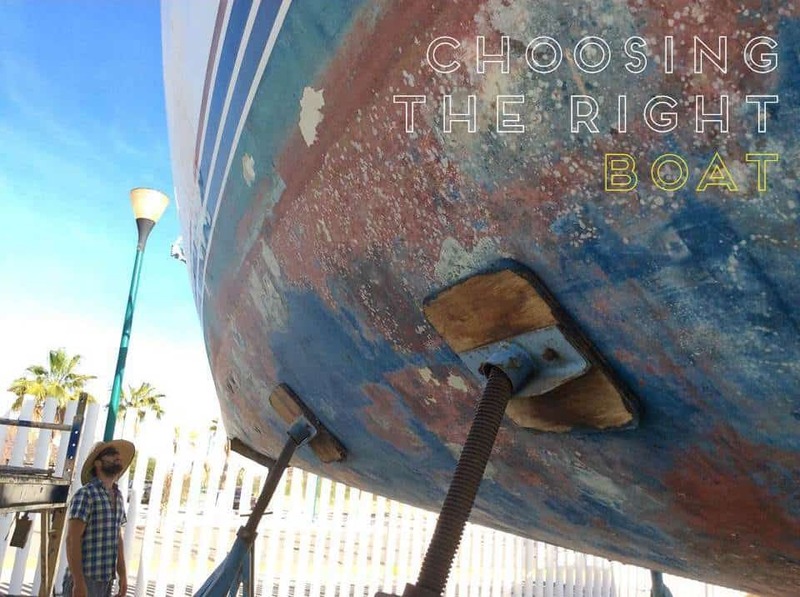 Choosing the right boat for you. Our first boat was a little fibreglass sailboat called a CS 22. It was built in Toronto in 1976. We liked it because it was cheap ($3000 CAD) and stable. We planned to day sail and sit at the dock. We didn’t have a GPS and our lights didn’t even work. It had a retractable keel and came with a trailer, which saved us storage over the winter. We ran it aground twice and the retractable keel allowed us to sail off again almost as if nothing happened. It was a pig of a boat with a PHRF rating of close to 300, but made up for lack of performance in near unsinkability. It also had a newer outboard, which we liked because we were not the most confident sailors. It was our first boat and we loved it dearly. 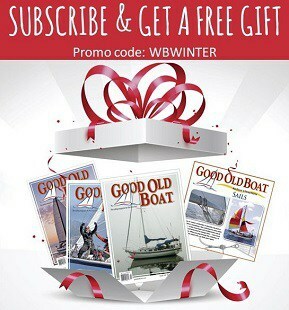 If you are looking for a boat you’ll probably soon visit, if not already, Yachtworld.com. If you click through to their advanced search page, you’ll see the search options available. The main options are boat type, length, age, price and location. It’s not really helpful in narrowing down your choices. Many of the options are closely related to each other, so it’s even less choosy than you think. Then you hit search and you get 1000 potential boats. Where do you even start? In many cities, moorage can be hard to come by. Sometimes the only available moorage is an hour away from where you live. It can also be quite expensive. In all cases for us, we figured out moorage before buying a boat. Sometimes moorage will come with a boat, which is helpful, but again, if it’s far away from home we’re unlikely to get out there as much as if we could find something closer. Each category has different requirements and the boat should reflect these. With our first boat we weren’t planning anything major and we didn’t want to live in it. Racing was of no interest. So a solid little boat, in which we could comfortably sleep, without many bells and whistles, was perfect. It would have been a joke to race it and we would have almost instantly died offshore. People do a lot of things in a lot of boats so recommending a type of boat would be too restrictive. We found it helpful to seach forums for people who had experience with a particular boat in which we were interested. 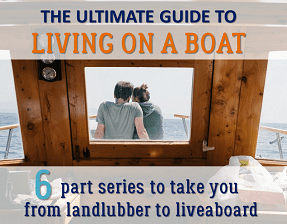 Many liveaboards’ boats don’t sail at all. Money is the ceiling up to which the dreams of our future boats are built. We have always had a pretty low ceiling when it came to purchasing a boat; a crawlspace one might call it. The corollary of having a low budget is the ability and willingness to spend time working on the boat. Budget is also closely linked to age and size. The newer and larger the boat, the more it will cost. If it doesn’t cost more, you can be assured that it will require part of your soul. We bought an older 35’ sailboat for $11 000, which worked great for our purposes at the time. When it came time to upgrade it for offshore, we ended up spending an additional $60 000 and put in probably over 2000 hours of work. Age is such a tricky factor. 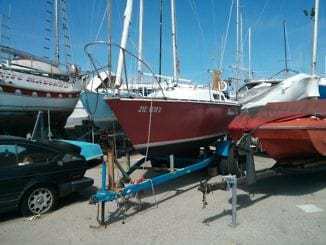 An old boat can be in great condition, better than a new boat even, depending on how well it has been maintained, but for the most part older boats are cheaper and require more work. Typically older designs are less performance oriented, which can be good or bad, depending on your perspective. 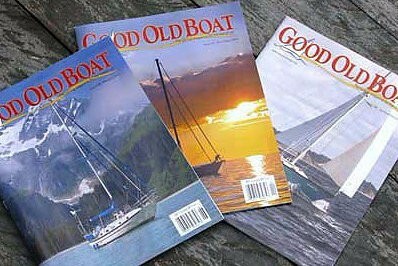 Materials were often cheaper in the past and so older boats may have thicker hulls and nicer interior woodwork. But boat design has come a long way in the last thirty years and an old boat simply won’t have the same lines and performance characteristics as the newer models. Old and slow was great for us and still is. However, our next boat will be a little more modern as we are getting tired of motoring in 5-10 knots of breeze. Also, just because a boat is newer doesn’t mean it won’t have problems. Two-foot-itis is the non-clinical term for a feeling that almost every sailor has; the desire for a bigger boat. But size is deceptive. As boat length increases, so does the width (beam) and the mast height. So if you are going from 25’ to 30’, you are also going from a 7’ to 10’ beam and a 30’ to 40’ mast. If you multiple all the dimensions together you are not increasing by 120%, you are increasing by 230%. There is an argument that costs are more related to the three-dimensional increase in boat size as opposed to the simple increase in length. Another thing we found was that learning on our CS 22 was far easier than on a bigger boat. Reefing the sails, grounding, docking, and repairs and maintenance were just simpler on a small boat. We’d recommend starting off as small as you think you can get away with and then moving up from there. Well, we really don’t want to wade into this debate, except to say that if you’re trying to decide, make sure you spend a bit of time on each and ask the owners lots of questions. There are so many advantages/disadvantages to either side that what really matters is what you like to sail. This is a fun factor because they are all so wildly different. The repairs that you have to make to each require almost completely different skills. Also each construction type has its own idiosyncratic problems. Probably the easiest starter boat is going to be fibreglass, unless you’re a welder. It requires the least maintenance and is usually quite a bit lighter than steel. We have had fibreglass boats, but our next big trip we want to do is the Northwest Passage and we’re thinking we’d like a steel boat for that. We’ve found that the boats with lots of extra gear are usually better maintained as well. Unfortunately, that also means they are more expensive. 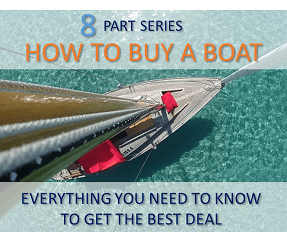 A well-found boat can save you quite a bit of money, as you almost never get the money back out of what you put into it when you make any additions or upgrades. Our first boat didn’t have a depth sounder or GPS and the radio didn’t usually work and we didn’t need them. Our second boat was the same and we ended up adding everything ourselves. The benefit of this is that we are confident in the quality of the installation and, if anything needs fixing, we already know the systems intimately. Another bonus is that everything is new when you add it yourself. The sailing differences between a sloop, cutter and ketch are not as big as they might seem. A sloop is the easiest to learn on, but the added complexity of a ketch is quickly learned as well. 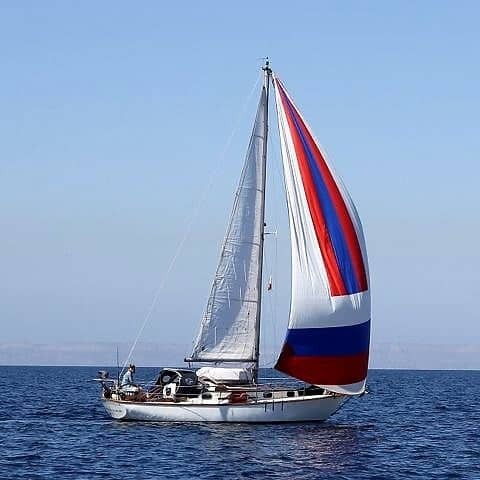 A cutter simply has an extra forestay on which you can hang a smaller stay sail. We used to only look at sloops but now we are happy to look at most rig configurations. A cutter is an especially good system for offshore sailing and we ended up adding an extra forestay (Solent stay) to our sloop rig. With production boats you can be a little surer of the construction quality. We have seen some very good owner-built boats, but we’ve also seen some truly terrifying examples as well. Due to this risk, owner-built boats often fetch lower prices. Production boats can also have problems and some companies make higher quality boats than others. It’s a good idea to do some research before committing to a particular manufacturer. When we look at owner-built boats we would only look at an older one that has been well tested and we would be far more carefully than if it was a production boat.